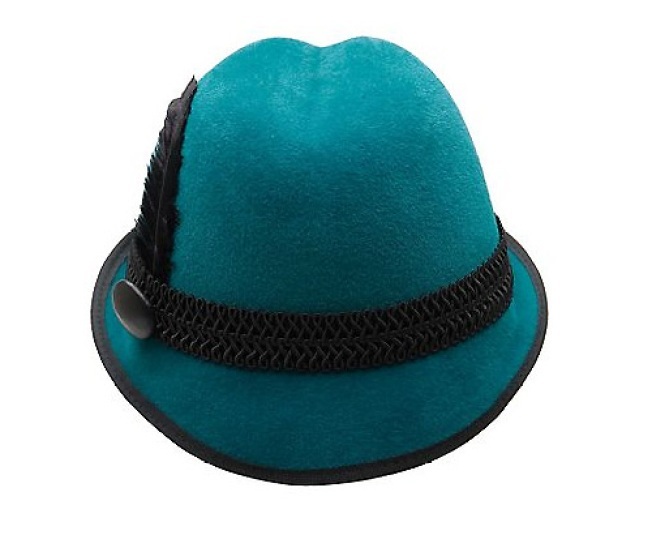 TOP O' THE HEAP: Feather Mini Wool Felt Fedora comes via Victor Osborne, an "old school milliner with an atelier in Williamsburg, N.Y., says Intermix. The shortened brim and black feather bring a healthy dose of steampunk to the modern-day fedora. Was $265; now $179 -- and get an extra 25 percent off through Sunday, Nov. 29, in-store (3222 M St. N.W.) or online with code HOMES25. CHAINS OF LOVE: Toughen up any holiday look with the BleachBlack Rhinestone Bracelet ($28), designed for Urban Outfitters (737 7th St. N.W. and 3111 M St. N.W.) by Kristin Reiter and Valerie Killeen of the fashion blog BleachBlack.com. RING A DING DING: Bora's Blue Snow Ring ($248) adds a Victorian aesthetic to the quintessential bold cocktail ring. The sterling-silver leaf motif wraps around an encrusted quartz. Available from Free People (2700 Clarendon Blvd., Arlington and Tysons Corner).